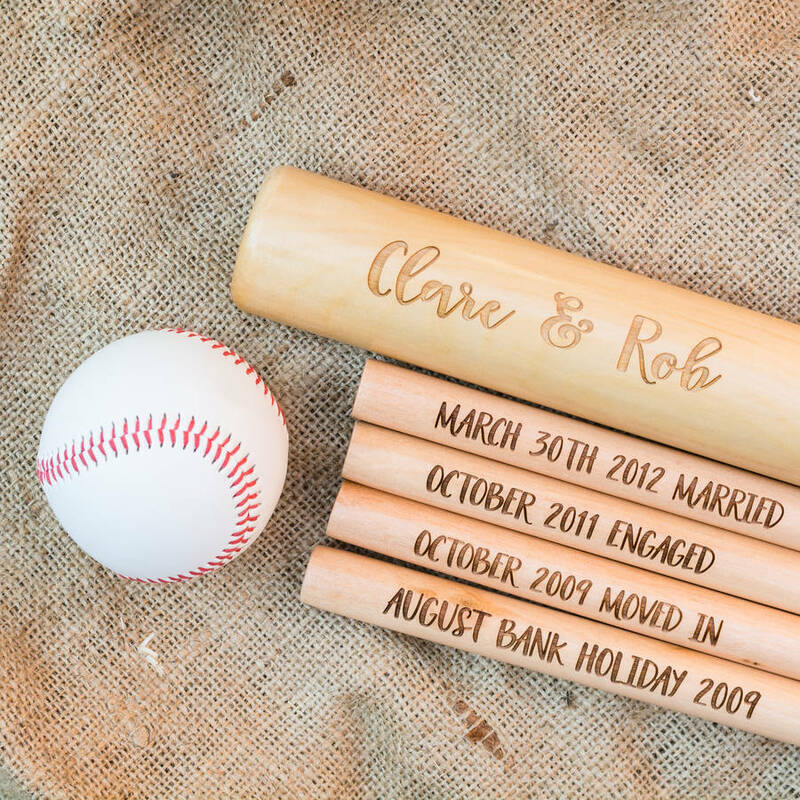 A fantastic personalised rounders set, ideal as a wedding gift it comes complete with its own carry bag. No stopping the competitive garden games now. 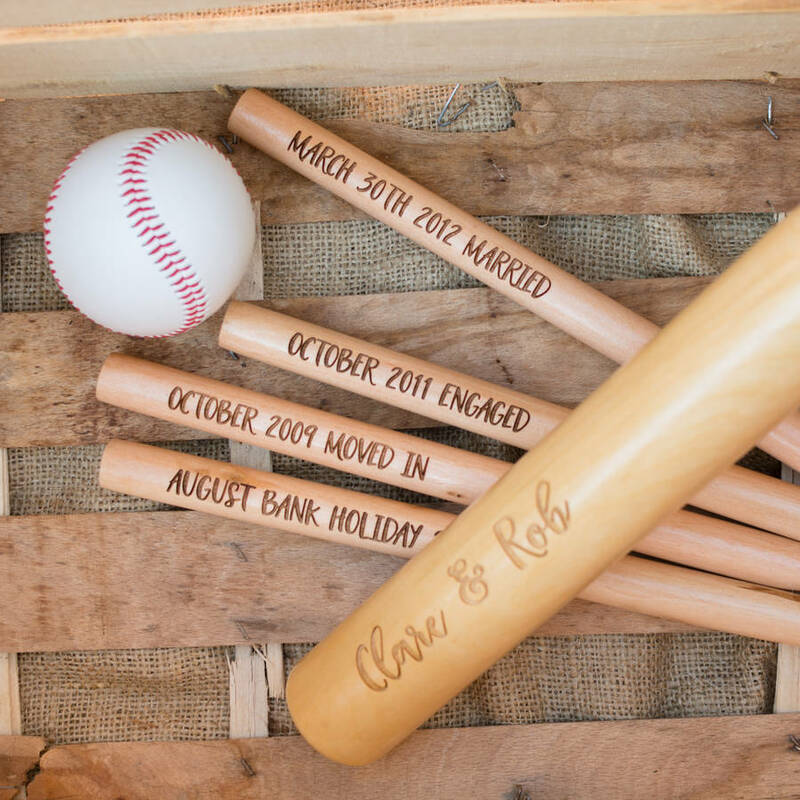 Available to personalsie on all four bases, and the rounders bat, this solid wood kit will be a perfect gift to the bride and groom and will be used for more than just the wedding day I am sure. 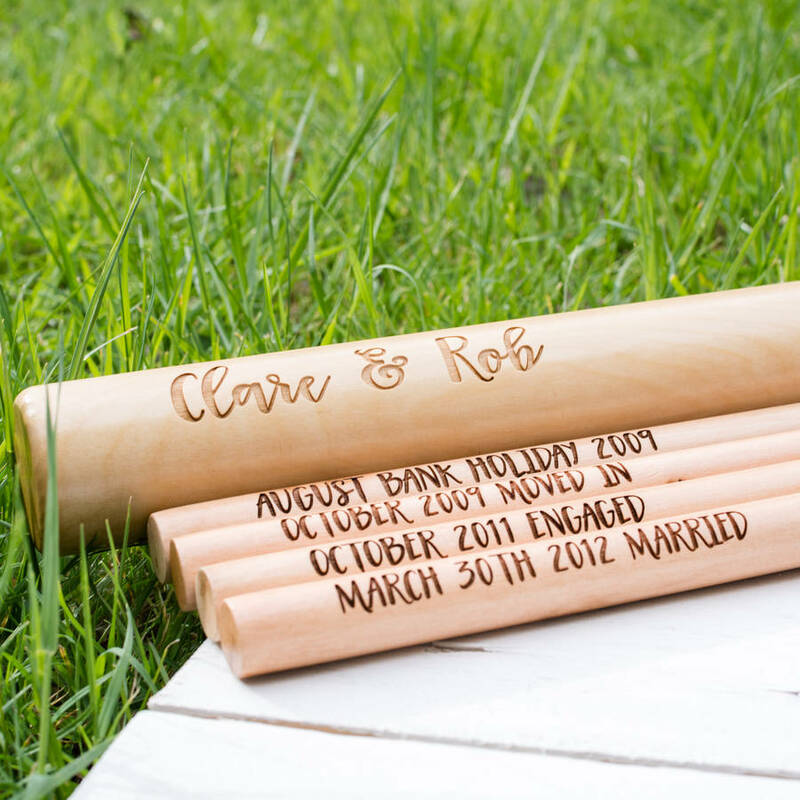 Obviously the personalisation, dates and details are entirely up to you! To personalise your item, simply head over to the options and complete the text boxes to let us know the wording you would like on each base and on the bat. Like magic - we will have your order to you in just 5 days. 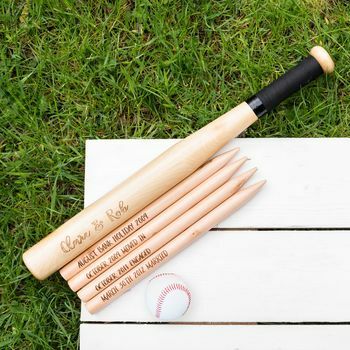 Wooden bases / stakes with a wooden bat and genuine authentic rounders ball.